Save the Date! Please join us for our one year In Progress Review! This important event is an opportunity to give your feedback on how we can improve our coordinated network of care. We’ll discuss where we are headed and how your organization is vital to our network’s future success. All network providers and community partners encouraged to attend. Thursday, July 11th from 1:00-3:00 PM. ServingTogether, a program of EveryMind, will be offering two Mental Health First Aid: Military and Veteran Module 8-hour courses in May! We're partnering with the Prince George's County Government and Frederick Community College to provide these workshop FREE of charge to individuals or organizations working with or supporting the military and veteran community. Lunch and snacks will be provided. The DC Mayor’s Office of Veteran Affairs (MOVA) is committed to providing District Veterans and service-members with the tools and resources needed to navigate the complex system installed by the Department of Veteran Affairs. Within the MOVA, there is a team of highly-trained and dedicated service representatives ready to assist veterans with claims assistance and VA Healthcare enrollment. 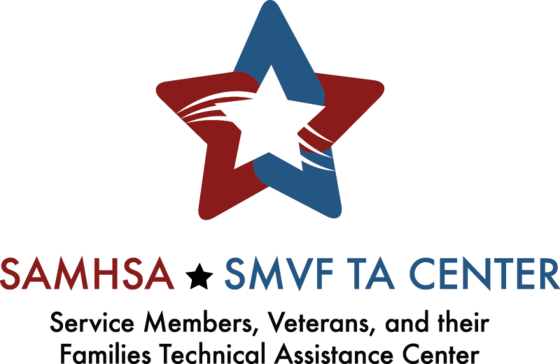 Join SAMHSA SMVF TA Center for a webinar on the unique challenges women face as they transition from military service to civilian life and throughout each stage of their lives. Key Transitions: Supporting the Behavioral Health of Women Veterans will be held on May 7th from 1:30-3:00 PM EDT. Registration is required to attend this webinar. Carry The Load is a non-profit dedicated to providing active, meaningful ways to honor and celebrate the sacrifices made by our nation’s heroes — military, veterans, first responders and their families. What started as a mission to restore the true meaning of Memorial Day has broadened to include more than just our military heroes and more than just the one holiday. Carry The Load works to bring all Americans together to participate in honoring our nation’s heroes every day. Join Carry the Load East Coast Relay Team as they walk through Washington DC, including a walk through Arlington National Cemetery to pay respects. Sunday, May 5 at starting 7:45am. Join the American Red Cross to Sound the Alarm, a home fire safety and smoke alarm installation event. Every day, seven people die in home fires and the Red Cross wants to do everything they can to prevent these needless tragedies. Volunteers work alongside fire departments and other local groups, canvassing at-risk neighborhoods to install free smoke alarms, replace batteries in existing alarms, educate families about fire prevention and safety, and fundraise for this lifesaving mission. Join the Red Cross for one or more of the signature events across the National Capital Region: Washington DC on May 4, Alexandria and Sterling VA on May 18. One day of your life can change someone else's forever. Join us to Sound the Alarm. Save a Life. Announced by Grat Siren - $13,500,00 total program funds available from the Homeless Veterans' Reintegration Into the Labor Force Program Grant. Application deadline April 26, 2019. GENERAL ELIGIBILITY REQUIREMENTS: State and local government; Indian/Native American Tribal Governments and organizations; institutions of higher education; and nonprofit and for profit entities. The Steven A Cohen Military Family Clinic at Easterseals and the Veterans Consortium Pro Bono Program offer free veterans legal clinics every Wednesday from 10:00 AM - 6:00 PM at Easterseals in Silver Spring, MD. Talk to an attorney for free who can help you with your issues including veteran benefits, military discharge upgrade matters, family law and more. Open to veterans and military families. Appointments are required. Tax Debt Relief Clinic for filing IRS and VA Department of Taxation offers in compromise. If you owe taxes and can't afford to pay, you may be eligible to settle your debt. Attendees must be screened by no later than May 17th. Clinic being held by Legal Services of Northern Virginia. Ft. Belvoir Army Community Service Career Fair. Thursday, April 25th at 9:00am at the Fort Belvoir Community Center. This event is open to transitioning Service members, Veterans, military retirees, military spouses, and DoD ID card holders. Please dress professionally and bring plenty of resumes as there will be 50 employers participating. Registration is recommended.